The 1974 Fleer Hall of Fame Football set contains 50 cards measuring 2 1/2" by 4", and feature exclusively Hall of Fame players. These cards are unnumbered, and are listed in alphabetical order. Cards from this year are almost identical to cards from the 1975 Fleer Hall of Fame set, but these cards contain a white border, while cards from 1975 feature a brown border on the front of the cards. 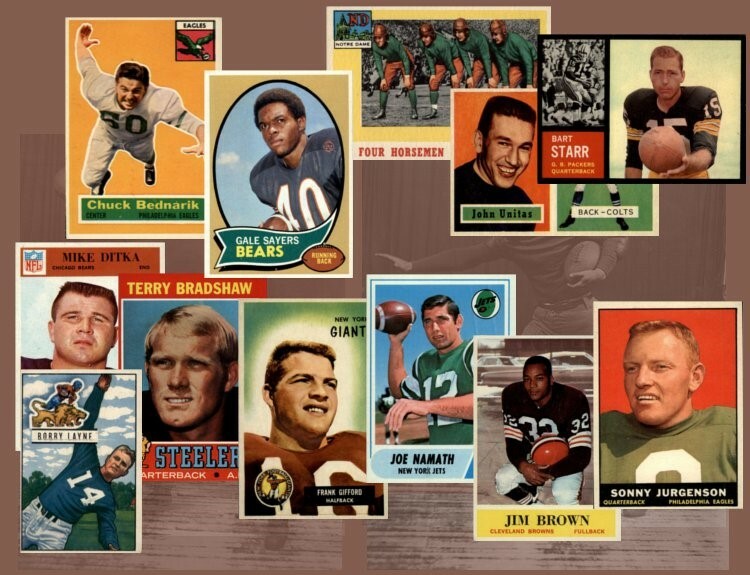 CLICK HERE if you want to sell your 1974 Fleer Hall of Fame Football Cards. Showing 1 to 48 of 48 products.